To see the great moments of Arika Madeyska's life, move your mouse from right to left to scroll the time ... ! Escaped the atrocities of World War II by hiding with his family in Konstancin, spa town south of Warsaw. His father, Wladyslaw Orlowski, strong, fighting in the Army of the Interior (AK) and moved to the USA just after the war . Studies painting at the Ecole Nationale Supérieure de Sopot, near Gdansk. Marriage to Roman Madeyski, painter. Birth of her only daughter in Sopot . Installing the young couple in Warsaw, manor Czerniakow. Social and cultural life teeming in the artistic and intellectual. Many successful exhibitions in the capital and abroad. The authoritarian regime of communism and setbacks in his private life affect his creativity . Life of "bohemian" intense culturally and socially, but financially difficult. Support of artists and friends emigrants, including Lunia Czechowski (companion Modigliani), Maria Papa, sculptor, Roman Cieslewicz, graphic designer. Learning the profession of restaurant tables in a Parisian workshop, repair frescoes in the castle of Fontainebleau in a team and working with galleries in Paris and individuals. His painting is abstract definition. Relationship with the Literary Institute, publishing illegal Maisons Laffitte. Deprived of identity papers, she can not return to Poland, even to attend the funeral of his mother in Warsaw . Marriage to Jacob Carlo, a young American . USAsuivi first trip to the frequent visits and exhibitions in New York and Washington, with the support of our American friends, K. Wasserman and B. Legutko. Extensive travel around the world: Brazil, Argentina, China, Canada, Turkey, Italy. Marriage of his daughter and the birth of her daughter . Resumed contact with Poland liberated from communism. And exhibits frequently stays in Warsaw and throughout the country. His death occurred on 5 December 2004 in Paris . 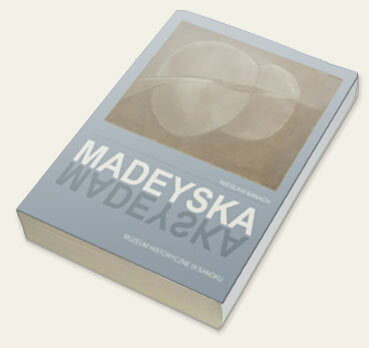 Posthumous exhibitions: Polish Institute in Paris, Museum of History Sanok . << Download the complete chronology "Her Life"
<< Download the complete chronology "His Oeuvre"
Foundation for Polish Painting, Lesko. Art New Media Gallery, Warsaw. Painting studies at the Superior Art School in Sopot, near Gdansk in the workshops of professors A. Nacht- Samborski and J. Zulawski..
>> Rejects Social-Realism, adopts a figurative painting style, tinted with surrealism. Grand Prix at the Young Artists National Exhibition in the Arsenal of Warsaw. Annual participation in the Visual Arts Festival in Sopot. Reward from the Ministry of Culture in an exhibition of Young Painting and sculpture, Sopot. First solo exhibition at Salon de la Nouvelle Culture, Warsaw. First trip abroad; participates in 12 polish painters exhibition. In the Charpentier Gallery in Paris and in 50 ans de la peinture polonaise in Geneva. Solo exhibition in Bénézit Gallery, Paris. >> In her artistic creations appears the use of collage on paper and fabric. The vice President of the United States, R. Nixon purchases two canvas of the artist. Second solo exhibition in Bénézit Gallery, Paris. >> Her painting becomes lyrical abstraction with linear forms. Solo exhibition of collage in Kordegarda Gallery, Warsaw. Participates in two collective exhibitions in Krzywe Kolo Gallery, Warsaw. Solo exhibition Lambert Gallery in Paris. Difficult Parisian débuts. Participates in the exhibition Grands et Jeunes d’aujourd’hui in Tokyo. Learns the trade of art restorer in a Parisian workshop. Repairs in team the murals of the Fontainebleau Castle. >> Her painting becomes irrevocably abstract, with circular form. Participates in the Art Sacré Exhibition in Paris. Starts the trade of restorer in Parisian galleries and for private individuals. Participates in the Exhibition Polish Painting in Lublijana. Participates in the Exhibition Grands et Jeunes in Paris. Participates in a ceramic exhibition in Albisola in Italy. Exhibits her works in ICOMOS in Paris. Solo exhibition in ES Gallery in Paris. Collective exhibition in Valmay Gallery in Paris. Exhibitions: Passali Gallery in Paris, Cahier Bleu Gallery in Troyes. Solo exhibition in Grise Gallery in Paris. Solo exhibition in Guinard Gallery in Paris. Participates in the promotion: Books of Arts au Museum of Women in Art in Washington. Solo exhibition in Ars Polona Gallery in Warsaw. Participates in the exhibition Artists on the road in Washington. Polish Cultural Centre in Washington. Museum of Women in Arts in Washington. In the E.N.S.B.A. of Warsaw. Art New Media Gallery in Warsaw. 2004 Passes away in Paris on the fifth of December.